The plaque reads: Flag Flying In Memory Of All Veterans. 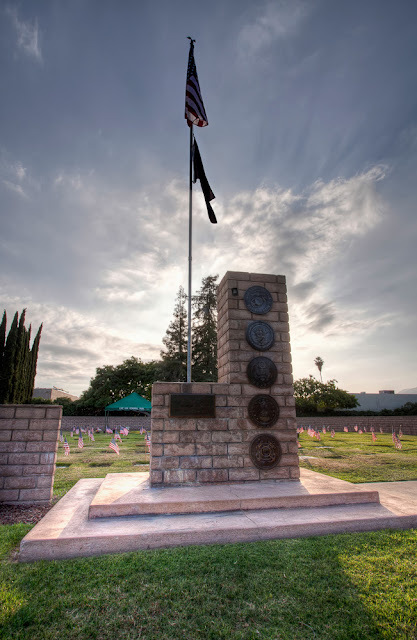 Memorial Day Program today (May 30, 2011) at Live Oak Memorial Park from 10:00 am to 1:00 pm. Address: 200 East Duarte Rd. Monrovia, CA 91016. Thank YOU for remembering to commemorate Memorial Day is honor to all who gave some and some who gave all!